Chinas government is stepping up efforts to contain runaway property prices, with the central bank clamping down further on mortgage lending in areas deemed overheated, people with knowledge of the matter said. Some lenders in those cities have been asked to suspend distributing new home loans, said the people, who asked not to be named as the change hasnt been made public. Central bank branches in the cities communicated verbally with lenders within their jurisdictions, said the people, who didnt identify the affected cities or say how long the mortgage limits will last. Banks in Shanghai were told not to increase mortgage lending from the previous month, another person with knowledge of the matter said. The central bank didnt respond to questions sent Monday via fax. The latest mortgage limits come amid signs that Chinas central government is intensifying curbs to rein in excessive home prices, after relying on local authorities to tighten rules in some two dozen cities since late September. Shanghai, which already imposed restrictions earlier this year, said in a Weibo post on Monday that it will tighten mortgage loan policies starting Nov. 29, while Tianjin has raised minimum mortgage down payments for first homes to at least 30 percent. The banking regulator earlier this month told lenders in 16 cities to conduct checks on their mortgage lending, including in first-tier hubs like Beijing and Shenzhen. Trust firms were also told to review any business related to home lending. A wave of Chinese cities from trading centers to regional hubs had their largest price surge in history this year. Even after tightened purchase restrictions, Anhui provincial capital Hefei saw average new-home values rallying 48 percent in October from a year earlier, while prices jumped 31 percent and 32 percent in financial hubs Shanghai and Shenzhen. Local authorities have introduced home-market curbs ranging from raising down-payment requirements for both first and second homes, to ruling some potential buyers ineligible. The post China Steps Up Mortgage Controls in Some Property Markets appeared first on The Money Tribe. 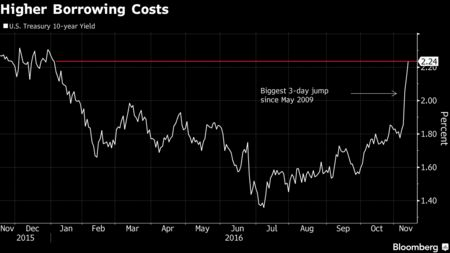 The spike in borrowing costs in response to President-elect Donald Trumps pro-growth agenda is causing some heartburn in Americas housing industry. San Diego mortgage broker Shanne Sleder said a third of his clients, many of whom were already stretching budgets to buy homes in pricey southern California, are having to reconsider what they can afford as rates soar. With a number of the people we were in the middle of pre-approving, as rates are going up, its getting tighter and tighter qualifying them, Sleder said. Hes urging them to lock in rates. In some cases, the higher rates are making it so they are not as comfortable with the payment. With investors anticipating faster expansion and inflation from Trumps policies, the yield on the U.S. 10-year note — a bellwether of changes in mortgage rates — has jumped more than 35 basis points since the Nov. 8 presidential election, the biggest three-day increase since 2009. Home loans may be beginning to follow suit: The average 30-year mortgage rate rose to 3.73 percent last Wednesday from 3.69 percent the prior week, according to Bankrate.com, whose chief financial analyst Greg McBride sees the rate climbing to near 4 percent this week. A sustained surge in borrowing costs could further hinder first-time purchases at a time when rising values are already hurting affordability and pricing out buyers in many markets. Whats more, the back-up in rates would leave the economy wanting of a boost from residential construction thats failed to contribute to growth for two consecutive quarters. Its not helpful at all for the housing market, and it also bears watching in terms of how bad it gets, said Scott Brown, chief economist at Raymond James Financial Inc. in St. Petersburg, Florida. The housing rebound could be even more moderate than it has been. Larry Seay, who retired in March as chief financial officer of builder Meritage Homes Corp., said rising rates will also limit the ability of developers to raise prices, pinching margins. Buyers will look for smaller, cheaper homes and builders will probably look for opportunities to accommodate them, he said. Its going to be incumbent on builders to manage cost better because they wont be able to pass on the cost increases with higher home prices, Seay said. 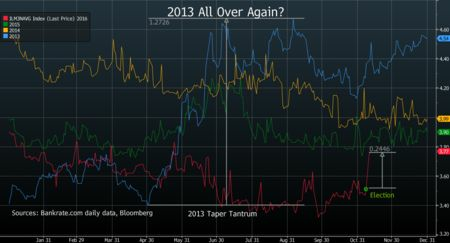 While mortgage rates remain near historical lows, action in funding markets is reminiscent of the so-called taper tantrum in 2013. Thats when yields surged after then-Federal Reserve Chairman Ben S. Bernanke said that the central bank would soon start slowing the pace of bond purchases. In August 2013, after mortgage rates climbed above 4.5 percent, sales of previously owned homes proceeded to fall nearly 8 percent by year-end. Existing-home purchases are tallied a month or two after a contract has been signed. At the current rate, monthly borrowing costs for each $100,000 of a loan would be about $462, up marginally from $456 in mid-October when the 30-year mortgage was 3.62 percent. The nations housing market has been grinding higher, helped by sturdy employment gains, nascent wage growth and attractive borrowing costs. A potential next leg up was first-time buyers. Higher mortgage rates that are sustained, however, would mean less buyer traffic of that segment of the market. First-time buyers look at the monthly total, at what they can afford, so if the mortgage is eaten up by a higher interest expense then theres less left over for price, for the principal, said Tom Simons, a senior economist at Jefferies LLC. Buyers will be shopping in a lower price bracket, thus demand could shift a bit. Home prices are currently rising about 5 percent on a year-over-year basis. Thats kept an index of housing affordability hovering near the lowest level since the end of 2008, according to the National Association of Realtors. Many buyers are already stretching to begin with, said Sleder, the San Diego broker, who works at West Coast Mortgage. If it continues in this direction, its going to push more and more people out of the market. Eventually, if rates go up to where people are not putting offers in any more, sellers are going to lower their market price, he said. The post Spike in Mortgage Rates Throws a Wrench Into U.S. Housing Market appeared first on The Money Tribe. NatWest bank has frozen the accounts of state-run broadcaster Russia Today (RT), its editor-in-chief says. Image caption RT editor-in-chief Margarita Simonyan tweeted that “They’ve closed our accounts in Britain”. He added that in order to “keep the pressure up”, further sanctions against the Syrian regime “and their supporters” would be considered. RT, which is run by the Kremlin, has previously been sanctioned by Ofcom for biased reporting. The post NatWest freezes Russia Today’s bank accounts in the UK – BBC News appeared first on The Money Tribe. Russia has angrily accused Britain of trampling on freedom of speech after NatWest said it was closing down the bank accounts of the Kremlin TV channel Russia Today (RT). Russian MPs, the foreign ministry and human rights officials all condemned the move, and said the UK government was guilty of violating press freedom and of double standards. 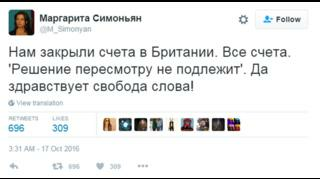 Long live freedom of speech!, RTs editor-in-chief, Margarita Simonyan, tweeted sarcastically. Simonyan said she had received a letter out of the blue from NatWest saying that it was pulling the plug on the broadcasters accounts from mid-December. We have recently undertaken a review of your banking arrangements with us and reached the conclusion that we will no longer provide these facilities, it said. The decision was final, the letter added. But after several hours of confusion the Treasury said it had nothing to do with NatWests move. Sources said the decision to deny RT banking services was made independently by NatWest, and apparently without any official consultation. This isnt something that has come out of the Treasury, one source insisted. The UK government had not introduced any fresh sanctions or obligations against Russia since February 2015, the source said. In recent years it is understood that the banks compliance department has frequently shut down accounts of other Russian customers, often without warning. Russian officials, however, were quick to denounce the move against RT as a murky British plot. They pointed out that NatWest a part of the Royal Bank of Scotland Group is mostly state-owned. It seems that freedom of speech is completely lost in Albions Russophobic fog, tweeted Konstantin Dolgov, Russias foreign ministry commissioner for human rights. In a statement issued after more than six hours of deliberation NatWest said these decisions are not taken lightly. It added: We are reviewing the situation and are contacting the customer to discuss this further. The bank accounts remain open and are still operative. The banking shutdown casts doubt on the ability of the Kremlin-backed news channel to carry on broadcasting, although RT said on Monday it would continue operating. The story received blanket coverage from Russian state media. The US and Britain said on Sunday that they were considering fresh measures and possible further sanctions against Moscow in protest at Russias continuing bombardment of civilians in eastern Aleppo, Syria. Maria Zakharova, a Russian foreign ministry spokeswoman, wrote on Facebook: It looks like, as it leaves the EU, London has decided to leave behind all its obligations towards freedom of speech. As they say, best to start a new life without bad habits. Russia Today now rebranded as RT was set up a decade ago, initially with the goal of giving foreigners a positive view of Russia. In time, the idea shifted and the channel became more about painting a negative picture of the west. The channel was rebranded to distance itself from the Kremlin and from the very idea of Russianness, and launched amid pomp in Britain and the US, accompanied by advertising campaigns urging people to Question more and positioning itself as an alternative to the mainstream media. Vladimir Putin, told Simonyan that the aim of the channel had been to break the Anglo-Saxon monopoly on global information streams. The mission had been completed successfully, Putin said. Often, questioning more meant wallowing in conspiracy theory, giving airtime to 9/11 truthers and other basement bloggers. Away from the lunatic fringes, the channel often covered the same kind of stories in Britain and the US as the Guardian might. It focused on injustice and official malpractice, on social tensions and political demonstrations. Especially in the US, the channel built up a following for touching the kind of issues that many mainstream networks did not. The channel typically invites studio guests who endorse the Kremlins anti-US views. Guests have included Jeremy Corbyn, Ken Livingstone and George Galloway. Julian Assange, and it lured the veteran US broadcaster Larry King to the channel to make a series of shows. While making marquee signings to boost its mainstream credibility, the channel also ran shows such as The Truthseeker, which claimed every single terrorist attack in US history was a false flag operation. During the annexation of Crimea, RT did not report on the Russian soldiers deployed on the peninsula, and complained about misinformation from western media outlets, which said that Russian forces were present. Putin himself later admitted as much, but the channels skewed coverage of events in Russias backyard also gained a small but devoted following abroad. It has portrayed Russias military intervention in Syria as a campaign against terrorists, and reflects Moscows official position that no civilians have been killed by Russian jets. visited Assange in the Ecuadorian embassy during a trip to London in 2014. Europe over the last few years to ostracise, shout down or downright impede the work of RT. RT started broadcasting in the UK about 10 years ago, Ofcom has recorded 20 breaches of the UK broadcasting rules. It was investigated in April for accusing the Turkish government of genocide against the Kurds. Russia Foundation, said the BBCs office in Moscow would now be in the frontline for possible Kremlin reprisals. The BBC is the flagship British broadcaster. Its a public body but in the Russian mind its an arm of the state and they will see it as a proxy. They will look at kicking British journalists out of Russia, I guess. Clark said the Kremlin used RT not for straight propaganda purposes but information warfare. The clue is in the strapline: Question more. They are trying to sow confusion and to create a climate of intellectual pessimism and nihilism by mixing the genre of news and outright fabrication. He added: The channel is designed to undermine rational debate. Its a multi-layered thing and just one instrument they use. The post Closure of Russia Today bank accounts nothing to do with us Treasury appeared first on The Money Tribe. The post Pound slides to 31-year low, as FTSE 250 hits record high Business Live appeared first on The Money Tribe. The FTSE 100 share index came close to an all-time high after rising above 7,000 points as the pound plunged to a new 31-year low against the dollar. London’s leading share index closed up 1.3% at 7,074.34 – just short of its record high of 7,103.98. However, the pound fell to $1.2737 at one point – its lowest level against the US dollar since 1985. Sterling has fallen for the past two days as traders study the Conservative Party conference for Brexit details. Against the euro, the pound was down 0.7% at 1.13840. The FTSE 250 share index, which features more UK-focused companies, closed at a record high, surging 0.9% to 18,342.07. Stock markets in Frankfurt and Paris also closed higher on Tuesday. The FTSE 100 has benefitted from the fall in the pound since the Leave vote because the many international companies whose shares are traded in the UK tend to benefit from it. Profits earned abroad by multinationals such as drugs giant GlaxoSmithKline and major mining companies are worth more when converted into sterling. That makes a company’s shares appear better value when compared with the higher profits it will make, prompting a revaluation of the stock. The FTSE 250 index, however, has lagged behind the FTSE 100 since the Brexit vote because gains from the weaker pound for the outward-looking businesses have been offset by fears about the fortunes of UK-focused companies. The FTSE 250 contains a higher percentage of UK-facing businesses than the 100. Since June though, a string of better-than-expected economic news has also helped to lift their share prices. 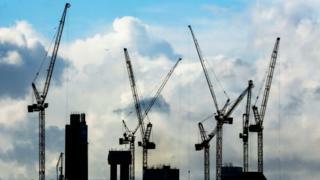 On Tuesday, a closely watched survey suggested that the UK’s construction sector had unexpectedly returned to growth in September. The latest Purchasing Managers’ Index for the construction sector rose to 52.3 from 49.2 in August. Any figure above 50 indicates expansion. “Resilient housing market conditions and a renewed upturn in civil engineering activity helped to drive an overall improvement in construction output volumes for the first time since the EU referendum,” said Tim Moore, senior economist at IHS Markit, which compiles the survey. On Sunday, Prime Minister Theresa May said she would trigger Article 50 by the end of March 2017. Analysts say the pound has been hit by the prospect of the UK leaving the EU single market as part of the Brexit process. Esther Reichelt, currency strategist at Commerzbank, said the government’s apparent insistence on limiting freedom of movement was causing particular uncertainty among investors. “This increases fears of a ‘hard’ Brexit because so far nobody sees a possibility of achieving this without May having to accept notable restrictions when it comes to accessing the single market,” she said. Kathleen Brooks, research director at Forex.com and City Index, said the Tory party conference was turning into a sell for the pound given Mrs May’s “apparent sanguine attitude to leaving the single market, preferring to focus on immigration and UK sovereignty rather than the economic fallout of Brexit”. She said comments by the Chancellor, Philip Hammond, in which he warned that the UK economy was heading for a “rollercoaster” ride over the coming years, had not helped. 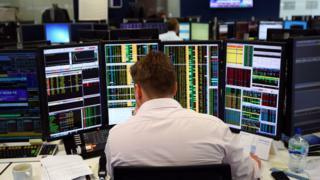 The post FTSE 100 soars as pound slides – BBC News appeared first on The Money Tribe. A hundred days ago the world woke up to the news that Britain had voted to leave the European Union. The decision sent global financial markets into a spin and saw the pound plunge to its lowest level in more than 30 years, as investors bet that the UK economy would suffer. The FTSE 100 share index of the UK’s 100 biggest companies has since bounced back. 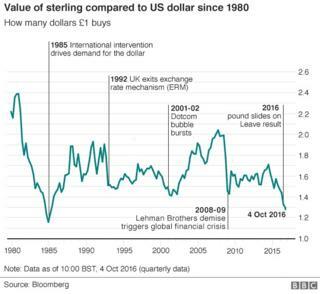 But the pound is still down at levels last seen in the 1980s, having dropped 12% against the dollar since the referendum on 23 June. The companies whose shares have fared best since then are those which make most of their money in other currencies and are less exposed to the UK economy. So who have the markets judged to be the biggest winners and losers so far? In the days after the referendum result, many investors started looking at FTSE 100 companies with large businesses outside the UK. 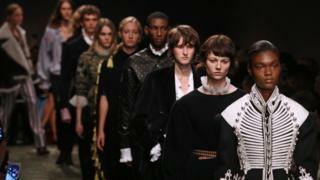 British fashion designer Burberry, which generates about 85% of its sales abroad, was one. Even though the company warned staff it would be stronger inside the EU, its share price has shot up 24% since 23 June, adding more than 2bn to its market value and making it one of the biggest winners on the index. Burberry is in the “sweet spot” for UK companies, says Laith Khalaf, an analyst at Hargreaves Lansdown. Because of the pound’s fall, the money Burberry makes abroad in dollars, euros and yen is worth more back in the UK, and the costs in its UK head office are relatively lower, he says. The iconic trench coat maker could also benefit from more Asian tourists bargain-hunting in the UK after the pound’s fall. “Chinese tourists are very savvy in their understanding of global foreign exchange rates,” says an analyst at RBC Capital Markets, although he adds that more visitors to Burberry’s UK shops could come at the expense of sales in other regions. Like all companies on the FTSE 100, Burberry’s shares have also been affected by non-Brexit issues, including a boost from this month’s London Fashion Week and poaching a new chief executive from Chanel. Banking giant HSBC was also critical of the idea of leaving the EU, but since the referendum has seen its shares surge, by around 27%. The bank – the UK’s second biggest company – earns about three quarters of its profits in Asia, according to Mr Khalaf, which could explain why investors think, as with Burberry, the weaker pound will boost its prospects. 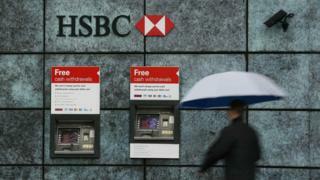 Shares in more UK-focused banks Lloyds and Royal Bank of Scotland have dropped 24% and 29% respectively. The recent shift in UK interest rates will also have played a part. Lower rates make it harder for banks to make a profit but that’s less of a problem for HSBC with its large overseas interests, than it is for the domestic banks. Ian Gordon, a banking analyst at Investec, says most of HSBC’s business is outside the UK, including the US, where interest rates are forecast to rise. Royal Bank of Scotland, in comparison, is an “almost pure UK business and ‘lower for longer’ interest rates is a UK phenomenon,” he says. Also working in HSBC’s favour, Mr Gordon adds, is that the bank is handing back $2.5bn (1.9bn) to shareholders this year after it sold its Brazilian business. The biggest winners, though? 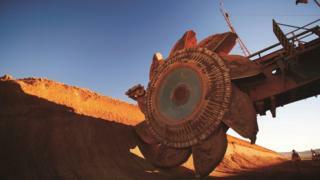 Mining companies. Something of a surprise for investors after the industry’s volatility in the last 12 months. Edward Sterck, a metals and mining analyst at BMO Capital Markets, says: “This time last year mining investors were feeling pretty negative, and in January many were feeling very negative indeed. Mexican gold and silver miner Fresnillo’s shares have risen 46%, putting it top of the post-Brexit leaderboard. Swiss mining trader Glencore is up 39% and British miner Anglo American has gained 39%. The companies’ large foreign earnings, as well as rising metal prices, have helped turn around their fortunes. Gold and silver have increased 6% and 12% respectively since the referendum. Seen as “safe haven” assets, they have been boosted by uncertainty in global financial markets and rock-bottom interest rates, two issues further intensified by the Brexit vote. At the other end of the scale, the biggest loser on the blue chip index has been budget airline Easyjet. Its shares are still down more than 34%, leaving the Luton-based firm in danger of being relegated from the FTSE 100. Stephen Furlong, an analyst at Davy, says its shares haven’t recovered since warning shortly after the Brexit vote that the weaker pound would put off some UK holidaymakers and would make fuel – which it pays for in dollars – more expensive. “The share price has taken a hammering and there’s still a lot of uncertainty,” Mr Furlong says. 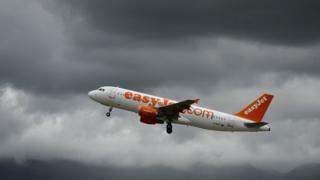 Analysts at Barclays estimate that factor outside the airline’s control, such as terror attacks, strikes in France and congestion at Gatwick, will cost Easyjet at least 150m this year. Also towards the bottom of the FTSE performance table is British Airways owner IAG, which has seen its shares fall 23% on similar fears about a drop-off in UK travel abroad. Like airlines and UK banks, housebuilders are seen as the most at risk in the FTSE 100 if the UK economy slows down or enters recession. Shares in construction companies are down significantly since the referendum, despite lower interest rates, an ongoing housing shortage and schemes like Help to Buy bolstering the property market. Taylor Wimpey, Barratt Developments and Persimmon, three of the UK’s biggest homebuilders, have made back some share price losses, but are still down 20%, 14% and 13% respectively. More than 100 days on, the market seems settled in its forecasts on construction firms and which other companies will gain and lose in the post-Brexit landscape, says Mr Khalaf. “It may or may not end up being the right call but for now it looks pretty rational,” he adds. The post Brexit impact: FTSE winners and losers since EU referendum – BBC News appeared first on The Money Tribe. 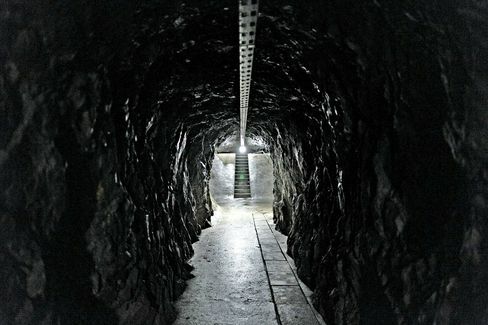 Deep in the Swiss Alps, next to an old airstrip suitable for landing Gulfstream and Falcon jets, is a vast bunker that holds what may be one of the worlds largest stashes of gold. The entrance, protected by a guard in a bulletproof vest, is a small metal door set into a granite mountain face at the end of a narrow country lane. Behind two farther doors sits a 3.5-ton metal portal that opens only after a code is entered and an iris scan and a facial-recognition screen are performed. A maze of tunnels once used by Swiss armed forces lies within. The owner of this gold vault wants to remain anonymous for fear of compromising security, and he worries that even disclosing the name of his company might lead thieves his way. Hes quick to dismiss questions about how carefully he vets clients but says many who come to him looking for a safe haven for their assets dont pass his sniff test. For every client we take, we turn one or two away, he says. We dont want problems. Swiss Data Safes secure storage facility outside Amsteg, Switzerland. Demand for gold storage has risen since the 2008 financial crisis. Many of the wealthy see owning gold as a hedge against the insecurity of banks and a reasonable investment at a time when markets are volatile and bank accounts and low-risk bonds pay almost no yield. It may also be a way to avoid the increasing scrutiny of tax authorities. In high-profile cases, U.S., French, and German prosecutors have gone after citizens of those countries with undeclared Swiss bank accounts. Swiss storage operations such as these dont have the same obligation that Swiss banks do to report suspicious transactions to federal regulators. Americans arent required under the U.S. Foreign Account Tax Compliance Act to declare gold stored outside financial institutions. Of the roughly 1,000 former military bunkers still in existence across Switzerland, a few hundred have been sold in recent years, and about 10 are now storage sites holding gold as well as computer data, according to the Swiss defense department. A maze of tunnels leads to the vaults. Few match the opulence of the airstrip setup, whose owner claims to run the largest store of gold for private clientsand the seventh-largest gold vault in the world. Near the runway sits the VIP lounge and a pair of luxurious apartments for clients. The walls of the apartments are lined with aged wood from Polish barns. South African quartzite was chosen for the floors to match the faded gray timber, and the amenitiesbathroom mirror, TV screenscan retract into the ceiling, counter, or wall. The owner offers a place for clients to sleep and eat, because many do not want to leave a paper trail of credit card receipts and passports at hotels and restaurants. 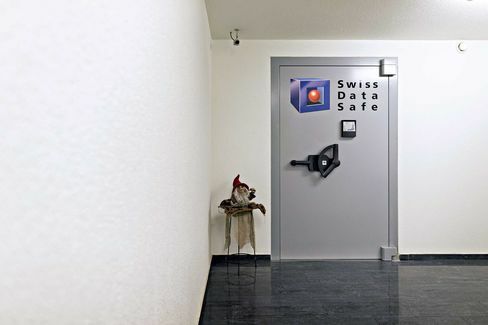 Some miles away, Dolf Wipfli, the founder and chief executive officer of a different company, Swiss Data Safe, is one of the few operators willing to be interviewed about his business. The gold Swiss Data Safe stores for clients is kept in a mountainside bunker outside the hamlet of Amsteg. On a recent tour, Wipfli wouldnt disclose the golds exact location, choosing instead to take visitors into a room containing computer servers for the other half of his business, providing data backup storage. Wipfli declines to say how much he charges to store gold. The companys website has versions in Chinese and Russian. There is growth in gold, Wipfli says. Since 2008 there has been a real interest in alternatives to bank deposits. The company explicitly taps into that demand. Swiss Data Safe is independent from the banking system and any other organization or interest group, according to a PowerPoint presentation Wipfli shows clients. The company and its anonymous rival arent regulated by the Swiss financial-services regulator Finma. Nor do such companies have to report suspicious activity to Switzerlands Money Laundering Reporting Office. In the past, submissions to the agency have led the Swiss attorney general to open investigations into corruption at FIFA, the global soccer body, and banking ties to Brazils Petrobras bribery scandal. The gold trade is a huge part of the Swiss economy, says John Cassara, a former U.S. Treasury special agent and the author of books on money laundering. Im not surprised that there are not more effective efforts in Switzerland to better monitor its misuse. The powers that be dont want to crack down. In the first half of this year, 1,357 metric tons of goldworth about $40 billionwere imported into Switzerland, according to the Swiss customs office, putting the year on course to be the biggest since a record in 2013. The Swiss secretary of state for international finance issued a report in December on safe deposit boxes and the risk that they are abused for money laundering and terrorism. The former army bunkers werent mentioned in the report. We dont see any tangible evidence of criminality of a systemic nature, but this could be a topic for the future, says a spokesman when asked about the bunkers. Of course, there are plenty of legitimate reasons for investing in gold. The metals price has risen 25 percent since the end of 2015. The tonnage of gold assets in exchange-traded funds has climbed 39 percent this year, data compiled by Bloomberg show. Even so, the Financial Action Task Force, an intergovernmental body that sets anti-money-laundering standards, warned in a 2015 report of the risks of gold being used by criminals for financing terrorism or for laundering money. Cassara, the former Treasury agent, says, Perhaps gold should be subject to currency cross-border reporting. Wipfli says Swiss Data Safe, too, scrutinizes prospective clients and will reject those for whom it doesnt have a good feeling. The company accepts corporate clients but insists on knowing who the owner of the company is, he says, a condition that goes beyond the more relaxed federal customs rules that govern Switzerlands controversial free ports, where art and other valuables are stored. Wipflis company also insists on inspecting goods that come into its bunkers. That, he says, distinguishes it from the no-questions-asked policy of safe-deposit-box companies that have been flourishing in the canton of Ticino, 100 miles south. We dont do black-box storage, he says. The bottom line: Swiss bank accounts arent so secret anymore, but gold storage remains under the radar. The post Secret Alpine Gold Vaults Are the New Swiss Bank Accounts appeared first on The Money Tribe. Deutsche Bank AG said it wont pay the $14 billion sought by the U.S. Justice Department to settle an investigation into the firms sale of residential mortgage-backed securities, a figure thats more than triple what some analysts estimated could be a potential worst-case. Deutsche Bank has no intent to settle these potential civil claims anywhere near the number cited, the company said in a statement early Friday in Frankfurt. The negotiations are only just beginning. The bank expects that they will lead to an outcome similar to those of peer banks which have settled at materially lower amounts. Germanys largest lender confirmed that it had started negotiations with the Justice Department to settle civil claims the U.S. may consider over the banks issuing and underwriting of residential mortgage-backed securities from 2005 to 2007. The $14 billion is considered an opening bid that could go much lower, according to the Wall Street Journal, which reported the figure shortly before Deutsche Bank issued its statement. U.S. shares of Deutsche Bank tumbled 6.5 percent to $13.80 in extended trading at 7:03 p.m. in New York. The companys stock has plunged 42 percent this year in Germany through the close of trading Thursday. JPMorgan Chase & Co. analysts wrote in a note to clients earlier Thursday that a settlement of about $2.4 billion would be taken very positively, and that an agreement exceeding $4 billion would pose questions about the banks capital positions and force it to build additional litigation reserves. Bank of America Corp. paid $17 billion to reach a settlement in a similar case in 2014, the biggest such accord to date. Goldman Sachs Group Inc. agreed to a $5.1 billion settlement with the U.S. earlier this year, including a $2.4 billion civil penalty and $875 million in cash payments, to resolve U.S. allegations that it failed to properly vet mortgage-backed securities before selling them to investors as high-quality debt. The settlement included an admission of wrongdoing. The post Deutsche Bank Rebuffs U.S. Over $14 Billion Mortgage Settlement appeared first on The Money Tribe. Deutsche Bank must pay $14bn to settle a US investigation into its selling of mortgage-backed securities, Germanys flagship lender has said. The US Department of Justice claim against Deutsche, which the bank said it would dispute strongly, far outstrips the banks and investors expectations for such costs. While it not clear what the final payment will be, a fine as high as $14bn would be a severe strain for Deutsches fragile finances and would likely further rock investor confidence in the bank. 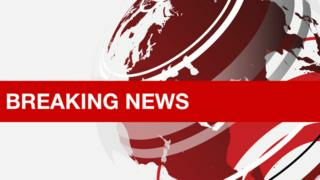 The banks US-listed shares fell 8% in after-hours trading. Deutsche Bank has no intent to settle these potential civil claims anywhere near the number cited. The negotiations are only just beginning. The bank expects that they will lead to an outcome similar to those of peer banks which have settled at materially lower amounts, Deutsche Bank said in a statement on Friday. It gave no details about the alleged mis-selling but a source close to the matter told Agence France -Presse that the allegations stemmed from the sale of mortgage securities in the 2008 crisis. The Department of Justice, which declined to comment on Friday, has taken a tough stance in settlement negotiations with other banks, requesting sums higher than the eventual fine. In 2014, it asked Citigroup to pay $12bn to resolve an investigation into the sale of shoddy mortgage-backed securities, sources said. The fine eventually came in at $7bn. In a similar case, rival Goldman Sachs agreed in April to pay $5.06 billion to settle claims that it misled mortgage bond investors during the financial crisis. That settlement included a $2.39bn civil penalty, $1.8bn in other relief, including funds for homeowners whose mortgages exceed the value of their property, and an $875m payment to resolve claims by cooperative and home loan banks among others. Deutsche Banks settlement will comprise a different list of recipients, a source close to the matter said, adding that the lender had already settled some claims three years ago. In late 2013, Deutsche Bank agreed to pay $1.9bn to settle claims that it defrauded US government-controlled Fannie Mae and Freddie Mac, Americas biggest providers of housing finance, into buying $14.2bn in mortgage-backed securities before the 2008 financial crisis. A $14bn fine, or even half that sum, would still rank among one of the largest paid by banks to US authorities in recent years. In 2013, JPMorgan Chase & Co agreed to pay $13bn to settle allegations by the U.S. authorities that it overstated the quality of mortgages it was selling to investors in the run-up to the 2008-2009 financial crisis. In 2014, Bank of America agreed to pay $16.7bn in penalties to settle similar charges. Deutsche Bank has not said what it has set aside in anticipation of a settlement over the sale and packaging of resident mortgage-backed securities before 2008. Its overall legal provisions stood at 5.5bn at the end of the second quarter. Deutsche was once one of Europes most successful players on Wall Street. Like many of its peers, it has since faced a slew of lawsuits that often trace back to the boom years before the crash. Its litigation bill since 2012 has already hit more than 12bn. Claims filed by individuals, companies and regulators against Deutsche, outlined in the banks 2015 annual report, relate to mis-selling of subprime loans and manipulation of foreign exchange rates or gold and silver prices. Other lawsuits are for the rigging of borrowing benchmarks Libor and Euribor, used to set the price of mortgages and derivatives. In July, chief executive John Cryan said he hoped to close the four largest remaining litigation cases this year. These are the mortgages and FX cases, an investigation into suspicious equities trades in Russia and allegations of money laundering. Reuters and AFP contributed to this report. The post Deutsche Bank must pay $14bn fine to settle US mortgage case appeared first on The Money Tribe.